Keep your eyes out on various book blogs over the coming weeks, as I’ll be posting interviews and all sorts of other exciting bits and pieces around the place, I’ll try and keep you in the loop where and when! It’s always exciting seeing an actual finished book in your hands that you’ve written – and even more exciting when you know it’s in the shops, and you get lots of lovely feedback from readers. So if you enjoy it, do drop me a line and let me know, I’d be super happy to hear from you. Here, to whet your appetite, is a bit about the book. Suzy P’s made a promise she can’t keep. Kind of a big promise. To her entire school! Suzy has her best mates helping out, but will she be able to pull off TWO parties of a lifetime? 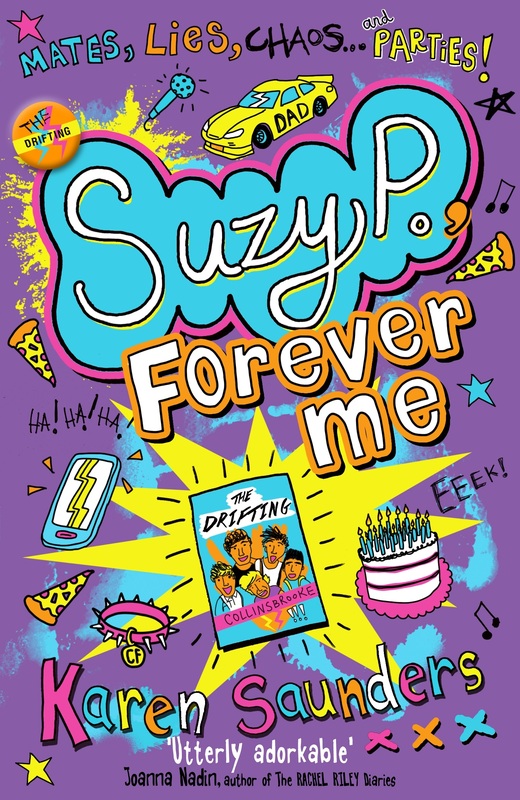 ← A New Suzy Book’s On The Way!